Hickory, NC – March 14, 2019 —Transportation Insight (or “the Company”), a North American leader in Enterprise Logistics, announces that Rennie Faulkner has been appointed Chief Executive Officer of the Transportation Insight Division of TI Holdco. He has served as Transportation Insight’s Chief Financial Officer since 2010 and will continue as TI Holdco’s CFO. Faulkner succeeds President and CEO Chris Baltz who will retire after more than 25 years in executive leadership positions in supply chain, logistics and transportation management. TI Holdco also acquired a majority interest in Nolan Transportation Group(“NTG”) in December 2018. As Transportation Insight’s Chief Financial Officer, Faulkner has been a key member of the executive management team that has seen the Company’s gross revenue grow from $296 million in 2010 to $2.3 billion in 2018. 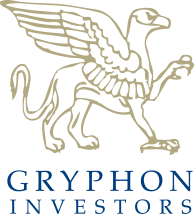 During this growth phase, Faulkner’s responsibilities included significant involvement in multiple acquisitions as well as two private equity transactions, including the Company’s current partnership with San Francisco-based private equity firm Gryphon Investors that formed in 2018. Transportation Insight is a multi-modal, lead logistics provider with $3.9 billion in logistics spend under management, and operates as a division within TI Holdco. For nearly 20 years, the Enterprise Logistics Solutions Provider has partnered with manufacturers, retailers and distributors to achieve significant cost savings, reduce cycle times and improve customer satisfaction rates by providing customized supply chain solutions. Transportation Insight offers a Co-managed Logistics® form of 3PL, carrier sourcing, freight bill audit and payment services, state-of-the-art transportation management system (TMS) applications, parcel technology platform (audit, engineering, advanced analytics) and business intelligence. Serving over 1,500 clients, its logistics services portfolio includes domestic transportation, e-commerce solutions, supply chain analytics, international transportation, warehouse sourcing, LEAN consulting and supply chain sourcing of indirect materials including secondary packaging. Headquartered in Hickory, NC, Transportation Insight has secondary operating centers in Atlanta, GA, Bentonville, AR, Boston, MA, Charlotte, NC, Omaha, NE, Overland Park, KS and Salt Lake City, UT; service centers in Canton, OH, Charlotte, NC and St. Louis, MO; and client support offices across North America. For more about Transportation Insight, visit www.transportationinsight.com.